Make life sweeter with fresh flowers. Call Alegria Floral Party... Floral designers serving Port Saint Lucie, Florida and surrounding areas with flowers and gifts for all occasions. We are ready to assist you with placing orders for local delivery or anywhere in the world. Not sure what to send? We'll gladly help you with creative suggestions. We deliver to all funeral homes and hospitals in the area. Whatever the occasion, let us create your eye-catching floral arrangements. Choose from several traditional and contemporary floral design styles that are perfect for any occasion… birthday, speedy recovery, congratulations, anniversary, thank you or just because. With Alegria Floral Party designing the wedding bouquets and floral arrangements, your special day is sure to be a “blooming success!” Call us in advance and make your appointment for a consultation. 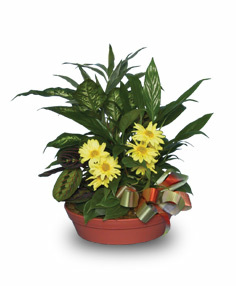 Ask us about customizing a sympathy arrangement as a tribute to a departed friend or loved one. 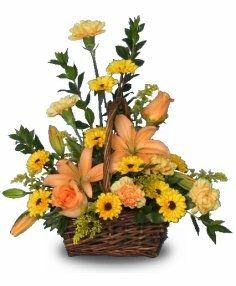 We can help you choose funeral flowers that thoughtfully convey your expressions of sympathy and serve as a lovely memorial. We offer dish gardens, green plants and blooming plants, baby gifts, greeting cards, candy, chocolates, gourmet baskets, fruit baskets and goodie baskets, plush stuffed animals and more. Orders for Sunday delivery must be placed by Friday at 4:00pm.